Now, it’s official. Summer is really here – it’s time for a perfect vacation, for good times, and for #BOWAexperience. This year Isabella Rakonić, well known Croatian lifestyle blogger, chose to explore the Croatia coast and find some of the best places. 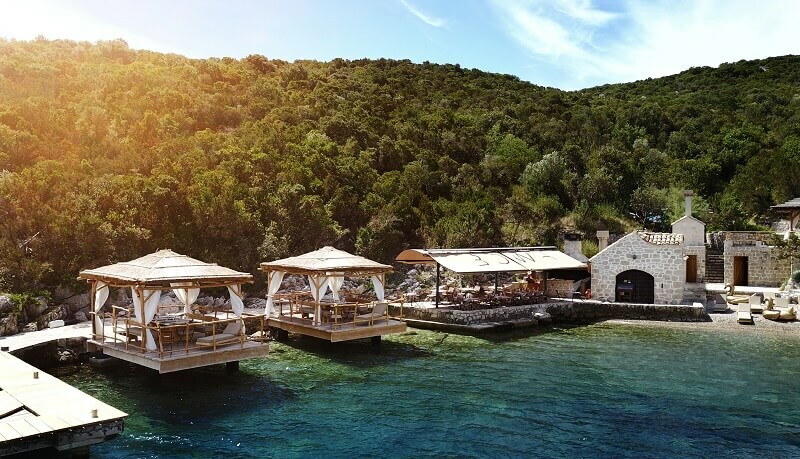 After her destinations of last year, Mykonos and Ibiza, Dubrovnik and BOWA restaurant is now top of the list. Isabella chose the Carpe Diem option, which means an Adriatic explore speedboat and lunch at BOWA restaurant. She started her day with an Adriatic explore cruise around the Elaphiti Islands, a cruise around islands exploring hidden places. When you rent a speedboat, you are free to go wherever you want, and there is always the local skipper who can show you the most beautiful places. At Adriatic Explore you can choose a half-day tour that is up to 4 hours (either from 10:00 to 14:00 or from 14:00 to 18:00) or a full day tour – up to 8 hours. In both options, you will have a skipper at your disposal. After the cruising time, Isabella arrived at BOWA restaurant for the BOWA experience tasting menu in shaded cabana. It is a seven course menu prepared by the BOWA chef. Among the courses Isabella enjoyed were tuna tartar as a monkfish stew. One thing is certain, the Bowa chef will surprise you even with the simplest meal. If you visit Dubrovnik @bowa_dubrovnik is a must place to visit! We had a 7-course menu with fish and meat. Unique chillaxing Best of What is Around culinary experience that opens all of your senses to vividly enjoy here and now! When it is about food at Bowa, you can choose the BOWA tasting menu in a roofed cabana or you can take you’re your meal on the terrace. With the new chef at BOWA (stay tuned, because we will introduce him soon) we have a new concept. From the very beginning we serve only fresh food, but we decided to go a step further. Now we prepare it even fresher – our menu is changing every day because our chef prepares a new menu every day. And it depends on what ingredients are available at the time. In every case it is Mediterranean food with a modern interpretation.